You deserve it. You demand it. It haunts you. It drives you. It’s so Powerful. It makes you. Speak. In Broken. Sentences. We’re obsessed with comparing things when we make purchases, especially in the U.S. Some of us are always out there looking for the best. Even in today’s excellence-obsessed status-quo-chasing society, no one can blame you for just honestly wanting to get the most bang for your buck when it comes to buying wine. Especially when the economy is in the financial out house. This is where you’d think that wine ratings would help you. By rating a wine on a 100 point scale, you can make a quick shopping determination so that you can pick up the best bottle for the money, and feel confident that you got a good deal and will enjoy your purchase without having to learn any of that fancy wine mumbo-jumbo, right? Flaw #1: It’s actually a 50-point scale. Flaw #2: It gives a false sense of Objectivity. No one can really score a wine 100% objectively. This is because we all have differences in our palates, and therefore (at least) subtle differences in how we interpret a wine’s flavor and quality. If a particular critic gives a wine a very high score, it says nothing about whether or not you might like that wine. So, unless your palate and preferences are similar to that critic, if you blindly buy one wine over another just because it scored a few points higher, you may be passing up a great wine that you would enjoy even more than that flashy ‘high-scorer’. 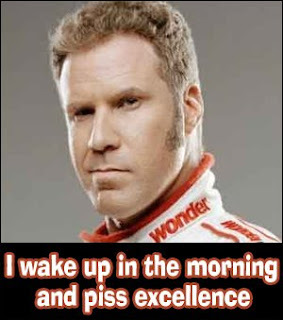 Flaw #3: It implies a “Scale” of Excellence. 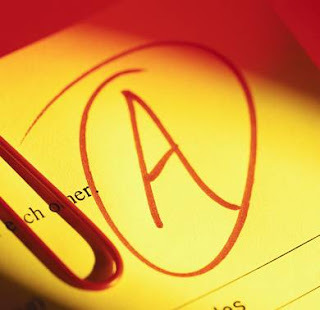 Like that old grade school grading method, you’d expect a wine scoring in the 90s to be better than a wine scoring in the 70s (an ‘A’ vs a ‘C’) – and for the most part, you’d be right. But is a wine that scores a 95 “better” than a wine that scores a 91? This is much trickier territory. A difference of a few points does not guarantee that one wine is better than another, any more than my scoring a 95 and you scoring a 91 on a wine exam guarantees that I’d be a better sommelier than you. The trouble is that too many people fall into the trap of following the numbers for their buying decisions – so much so that a wine rated a 90+ will sell for a much higher price than a wine that scored an 89. In order to help break out of some of the rut caused by this scoring system, a group of wine bloggers has started up a new blog called The 89 Project. The aim of the 89 Project is to highlight the wines that people are missing out on because of the 100 point system. I’ve signed on as a contributor, so watch that space for an update from me (once I get my dirty little hands on some tasty “89s”). Well said. Don’t say we didn’t warn ya! 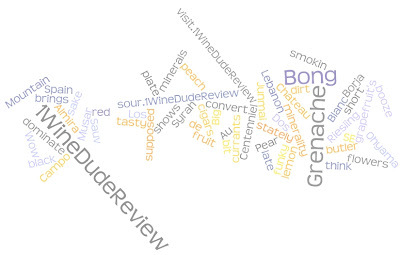 I’ve been doing a bit of introspection here at 1WineDude.com. Since this is a blog, the introspection has been performed entirely on-line, using two different tools that other wine bloggers have been dabbling with as well. So, no chance of my becoming a better person in the real world – this is virtual introspection, people. Engaging and energetic, you have a lot to offer the world – most of it they’ve never seen anywhere else! You are the type of person who carves your own path in life… and you invite everyone else to come along. The only thing predictable about you is that you could have anything up your sleeve. You’re all about sampling all of life’s experiences. Both the savory and unsavory ones. Deep down you are: Laid back and young at heart. Your partying style: Anything goes… seriously! Your company is enjoyed best with: Smoked meats or spicy food. Surprisingly, I could see myself in some of that description (especially the part about smoked meats and spicy food). 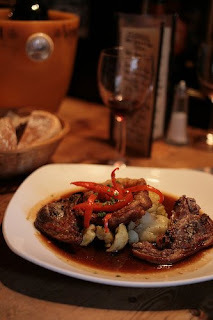 And here I’ve always imagined myself to be a red – one of those interesting and offbeat blended ones, like Priorat. Wrong, baby! The other online tool in which plenty of blogosphere folks are dabbling is Wordle. Wordle is the kind of tool that you play around with for 15 minutes, wonder when / how you’d use it to do anything of significance, eventually scratch your head, shrug your shoulders, and then surf to another website. And pour yourself another glass of vino. Having said that, you will enjoy the 15 minutes you spend on Wordle. I tried to create some interesting wine reviews using it – sort of a cross between my twitter ‘mini’ reviews & Chateau Petrogasm. No luck for me (if you figure it out, more power to ya). What I noticed first about this random creation was the proximity of the words “smokin / Bong” and “think / flowers.” Maybe this should be 1BluntDude.com? Childish? Nah – it’s just me being “Laid back and young at heart” like my ‘spirit wine’, Sauv Blanc. An Abolitionist Movement: Down With Wine Monopolies! As many of you already know, I am no friend of the Pennsylvania Liquor Control Board. I suppose that is putting it a bit mildly, since I’ve likened their unconcstitutional state-run wine monopoly to Communism, publicly ridiculed the 40%+ premium that they add to state wine prices (while at the same time limiting selection, reducing service quality, and boating some of the worst storage conditions in the country), and accused them of engaging in fear-mongering and sycophantic lobbying to protect their monopoly position. But who’s bitter? Me?!? I’m not bitter!!! Who you callin’ a PSYCHO!??!!! Anyway, the good news is that I no longer have to utilize previous 1WineDude.com real estate to fight the good fight against the PLCB. I’ve found a blog dedicated to that purpose, and I’d argue that its author (Lew Bryson) does a better job of it than I’d ever do! I give you noplcb.blogspot.com, a.k.a. “Why The PLCB Should Be Abolished“! While I will probably defer to Lew on all matters PLCB from now on, I should note that I’m not an advocate for abolishing the PLCB – or any state-run liqour monopoly, for that matter. I simply want those monopolies to adhere to the decisions of their state and federal constitutions, and to ammend existing laws to permit competition with those monopolies. Let them have their fair shot in the real world, and not in the ‘fake’ marketplace set up under the protection of state governments. Personally, I don’t think their business plans stand a snowball’s chance in hell, but let’s leave that to the open market to decide – and not the lobbyists. When you’re talking about a monopoly that brings billions of dollars to those states, it’s a Sisyphusian struggle to be sure, and I’m sure that some of my rants about this topic sound downright naive. But… the way that these state wine monopolies run is appalling; the message it sends is that the government will protect businesses from having to adhere to the Constitution, so long as those businesses make enough revenue for the state. And that’s just not the kind of world in which I want my daughter to grow up. This past week, during a trip to Windsor I had the pleasure of meeting up with two very talented an knowledgeable wine bloggers – Robert McIntosh (the Wine Conversation), and Andrew Barrow (the venerable Spittoon.biz). In the ‘real world’ that is. I also had the pleasure of sharing some bottles of real wine, sharing real food (at the Two Brewers pub), and having real honest-to-goodness conversation with like-minded wine geeks. Personally, I love connecting with the wine blogging community online. In fact, I don’t think I’ve ever been accepted more quickly, or by a better group of folks – a large (and ever-expanding) one at that. And certainly the online wine world made our get-together possible, organized in record time via twitter. Which is exactly what we did last week. 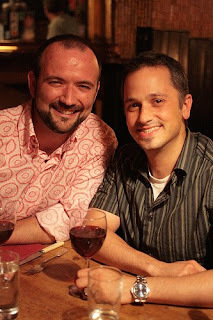 What do wine bloggers talk about when they get together face to face? We talk about the same things that we discuss on-line: wine, the state of its culture and service in our world today, and how to further the cause of making wine more accessible – with a smattering of personal tidbits for good measure. In between sips, that is. The highlight of our get-together for me was the near-instant camaraderie; never having met face to face before did not prevent us for a millisecond from striking up interesting conversation and enjoying one another’s company. A close second was the match-up between the lamb entree and our bottle of 2000 Chateau Musar. But that’s exactly the kind of thing that you need to have been there to truly appreciate.